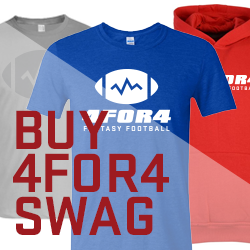 Each week, 4for4 will project player ownership on FanDuel and DraftKings. This information will be important when constructing your tournament lineups because including a few productive players with low ownership is a key component to coming out on top in a large contest. Note: We will update these projections throughout the weekend and on Sunday morning to account for any players whose injury status has changed going into the games. Also please note these are for the main slate (no Monday night game).